This is a photograph of a very shallow stream. 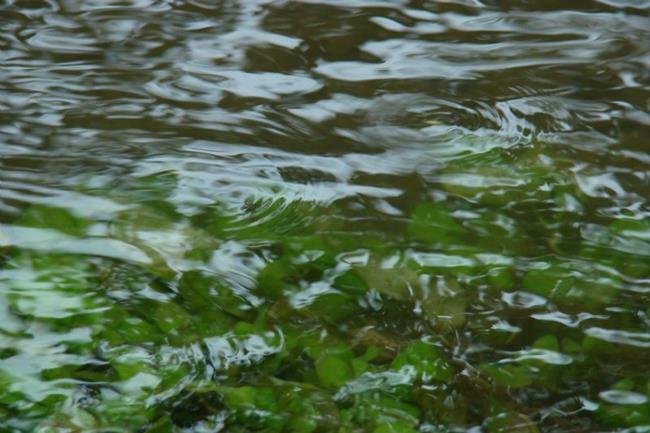 I tried to capture the circular patterns of the ripples as the water gently flowed over beautiful green plant life. Even now, I remember how cool the water was and how gracefully the plants swayed under the gentle current.